One of the basic ingredients in any commercial playground design – a slide has been a favourite for children for ever. We have a choice of slides, with one to fit any height deck (we even have have tiny slides for the lowest playdecks – 0.6m). The cheapest slide is the GRP (fibreglass) version but these are still quite strong enough for most commercial applications such as schools, pubs etc. These come in heights to fit any of our range, and are available in almost any colour. If you suspect there is a danger of abuse or very high traffic then we would suggest the PE (polyethylene) version. These are extremely robust and will cope with all sorts of usage. The very top of the range (and the pricing) is the Stainless Steel slide. Extremely durable, long lasting and vandal resistant – but be aware that they can get hot so shouldn’t be fitted facing the sun. If space is at a premium (see note below on safety margins) then a spiral slide may well be the answer. Ours are made from thick GRP and are fixed to a centre post which is concreted into the ground. Finally we have our tube slides. Again with a huge colour choice these are made in segments so we can fit them to any size decks. And they can be customised to most requirements. The EN1176/EN1177 standards require a minimum of 2m run off as a safety margin at the end of a slide. 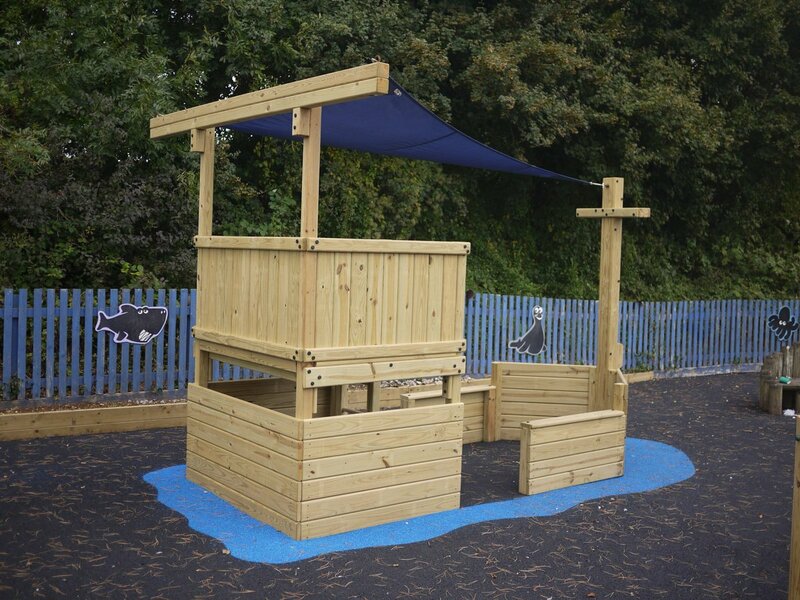 This is more than the standard 1.5m which applies to most of the play equipment we sell. Please also consider the usage of the slide when deciding on your safer surfacing material. Loose fill material (such as bark chips) will get kicked out of the way by users’ feet as they come to the end of the slide so you will need to be aware, if you choose this material, that you will need to regularly rake it back in place. More information on your choice of safer surfacing materials can be found here.